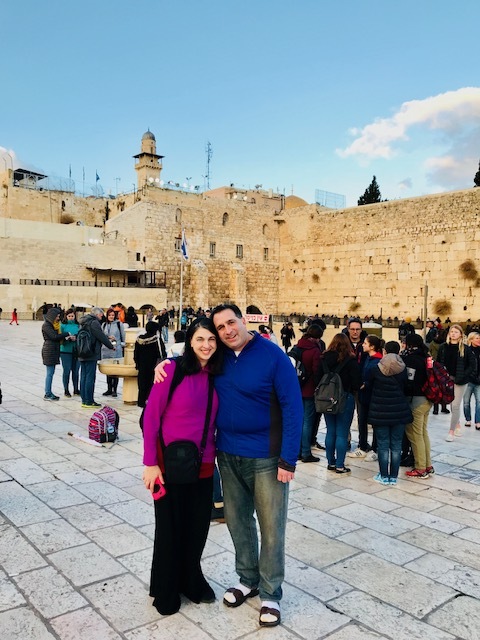 So we made it to the Kotel in Jerusalem yesterday. It's been too many years. Definitely, one of the top moments of my life. 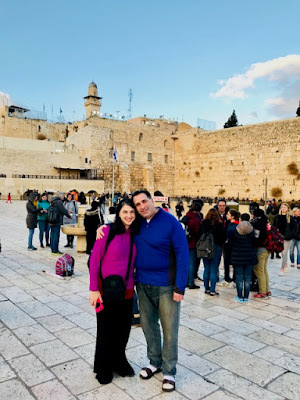 As we entered the old city and walked through the narrow ways toward the Western Wall of the Temple, my heart and breathing was racing and I could feel the spiritualness getting closer and closer. When we finally arrived at the Holy Wall, I was just completely overwhelmed and saying over and over, OMG! We took some photos, and then immediately when to pray at the wall. I think I got lost in prayer and didn't realize how long I had been standing and clutching the Holy Wall of G-d's ancient Temple. I truly believe that our prayers ascend to Heaven at this special spot of G-d's earthly abode. I wanted to fall to my knees, but stopped myself repeatedly as this is not generally the Jewish custom. But in my mind, my body, and soul was prostrated completely before G-d Almighty. I put myself in His hands. We can only do our best, and the rest is all in His control. We can try to make the best decisions we can, but the real guidance in life comes from Him and His will for us. We learned in Yeshiva, not to ask in prayer for specific things in life to happen for us, but rather to ask G-d to do what is right in His eternal mind for us. This is right...submit to the King of Kings and let Him show us the way for us. What are the right words to say to G-d?